The Zosi DVR password reset it's a simple process that takes only 5 minutes. To recover admin access to your DVR, you just need to use a mobile App and scan a QR Code to generate a new password to input into the DVR login screen. In this article, I will show you step-by-step how to reset the Zosi DVR for lost password. Just get your mobile phone and follow the instructions. ZR08KN; ZR08KM; ZR08AN; ZR08AM; ZR08QN; ZR08QM; ZR08RN; ZR08RM; ZR08ZN; ZR08FN; ZR08ZM; ZR08FM; ZR08KS; ZR08LS; ZR08LN; ZR08LM. 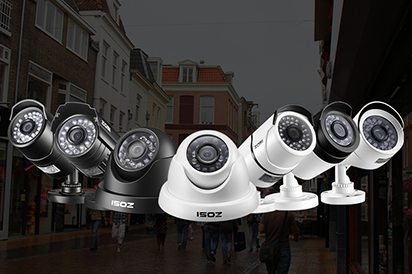 To execute the Zosi DVR password reset, make sure the firmware version is V1.2.1or above and that you have one of the models from the list. You need to make sure your DVR is one of the listed above, so just take a look at the label located under your device (see picture below). The picture above shows the model: ZR08AN that is on the list. To reset the Zosi DVR you need to use a mobile App called SPD which will generate a Super Password. Visit the App Store or Google Play to download it. Just look for SPD and choose the one you see in the picture above. The next step is to scan the QR code located in the DVR label (usually at the top). Open the SPD App and choose the way you want to Input the DVR ID, the first option is START SCAN QRCODE and the second one is MANUAL INPUT. Just press the button "START SCAN QRCODE" and give the permission to the App to open the mobile camera when asked, then point the camera to the QR Code. 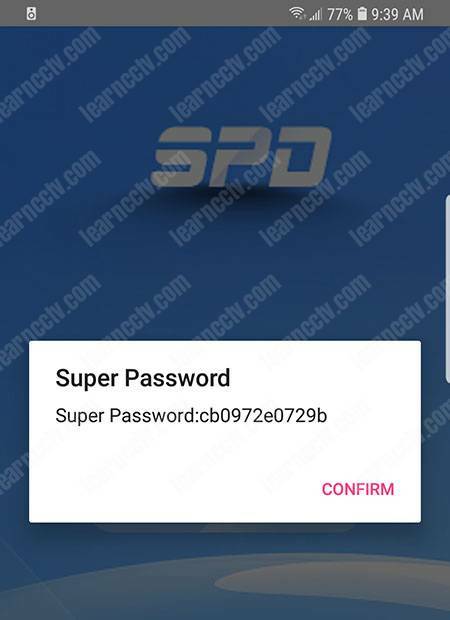 The SPD App will read the QR code and generate a Super Password. In the DVR login screen input the username admin and the Super Password that was created by the SPD App and press the login button. Next time you reboot the DVR, the username will be admin with blank password. (no password, just hit the login button). It's very important to create a new password to protect your device. Open the User Management and input a new password that is strong enough (is recommended to use a combination of letters, number, and symbols). And that's all. You just executed the Zosi DVR password reset successfully.